We are a thriving Yacht Club situated on the banks of the beautiful Wroxham Broad. 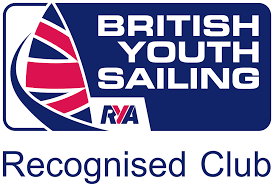 We take particular pride in promoting all aspects of competitive racing as well as encouraging a more leisurely and relaxed sail on Wednesday evenings. What could be better than sampling fresh fish and chips from the Clubhouse after a good evenings sail? For those of you that like a slower pace of life why not become a member and join us socially to enjoy our excellent bar and restaurant facilities. Norfolk Broads Yacht Club welcomes new members, please contact us to arrange a visit to the club. Error: Error validating access token: Session has expired on Sunday, 16-Dec-18 01:05:28 PST. The current time is Thursday, 18-Apr-19 15:26:46 PDT.